THIS BRAND NEW BLOCK AND STUCCO HOME IS MOVING RIGHT ALONG. READY FOR A NEW BUYER/HOMEOWNER THIS SPRINGTIME! 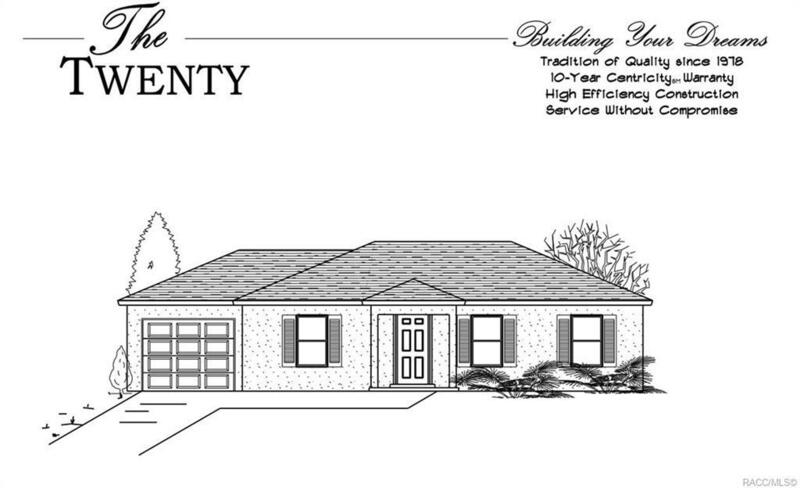 THIS DESIRABLE OPEN, SPLIT FLOOR PLAN WILL HAVE 3 BEDROOMS AND 2 FULL BATHROOMS. THE CATHEDRAL CEILING THROUGH THE LIVING ROOM, DINING AREA, AND KITCHEN WILL ADD TO THE OPENNESS! THE HOME WILL INCLUDE A NEW STOVE AND DISHWASHER. THERE WILL BE A ROOMY INSIDE LAUNDRY ROOM. SOD IS INCLUDED ON THIS HOME SITE! THIS HOME WILL NOT LAST! CALL TODAY AND MAKE THIS ONE YOURS. Directions: From Dunnellon Road (Hwy 488) Turn Onto N. Ira Martin Avenue. Turn Left Onto W. Gardners Ln. Turn Right Onto N. Orangebud Terrace. Turn Left Onto W. Cleveland Lane, Home Is On The Left - See Signs.